The outlook for Q1 is gloomy, with a triple threat of headwinds on the horizon. But don't bet the bank, this is a risky one. A GT bullishly biased vertical call spread expiring in October. Soros Fund Management has $26 billion in assets. I prefer this GT near-the-money, long call shooter expiring in April. A GT bullishly biased, out-of-the money call spread expiring in April. I prefer a bearishly biased trade on this. Keep doing your homework on the stocks you own, and keep running quarterly numbers. Wall Street held onto slight gains through the morning session after a stronger reading on private payrolls bode well for Friday's jobs report. 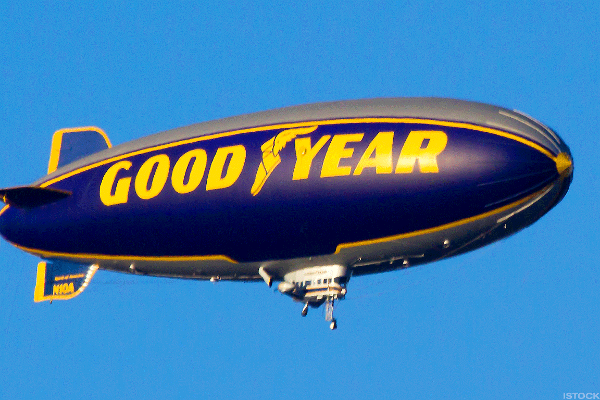 The tread is thin on Goodyear in spite of Thursday's gap up at the open. Stocks held onto modest gains through the morning as the financial sector set up a rebound. Is Goodyear A Good Buy?